Guess what? The final instalment of the FITS series has arrived. 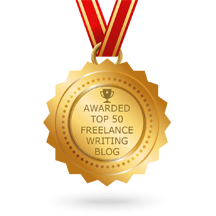 The “Freelancer In The Spotlight” today is… me, Lorraine Reguly, the woman behind Wording Well! I thought it would be kinda neat to feature myself, since I’ve been offline for a while (SORRY ABOUT THAT!). It’s been about a month since I published anything, but in today’s post, I’ll tell you WHY . There are a few valid and important reasons. I’ll also reveal what it means TO ME to be a freelancer (the good AND the bad). Plus, I’ll update you on what’s been going with me (health-wise and family-wise), as well as my plans for the next few months. I Took Time Off For the Entire Summer! First of all, I took a much-needed vacation this summer, as I had been blogging (basically, twice a week) for the past 2+ years without a break! Creating your own hours is one of the perks when you’re a freelancer. Of course, you need to take into consideration your clients’ needs first. Fortunately for me, my clients understood that I needed a break. I haven’t really had an extended vacation for quite some time! It had its ups and downs. On the plus side, I read A LOT of books (a luxury for me!) and I spent a lot of time at the outdoor public pool with my nephew, whom I taught to swim! I also re-connected with one of my best friends from when I was a teenager, and spent a lot of time with her. We went to the fair together, took in a hypnotist show, and began visiting one another as well as started going for walks together. The pic below is one I took when we were at the fair; they were selling T-shirts with funny sayings on them, and I thought that this one metaphorically “fit” me (I LOVE KETCHUP!!!). On the downside, however, I got bad news about my health. Oddly, it might be because I, indeed, put Ketchup on my Ketchup! As I mentioned before, I had been diagnosed with low thyroid. I went for bloodwork on July 2nd. My doctor wanted to check how the pills he prescribed me were working… if they, indeed, were working at all. However, I wasn’t surprised. There’s quite a history of Diabetes in my family. My grandma (rest her soul) had it, both my parents have it, my younger sister has it, my cousin has it, and probably a few more relatives have it, too. But it was a shock to me, especially since I decided, on June 17th, to start changing my eating habits. So I was given more medication… one pill a day of Metformin. Although it’s the most common medication used to treat Diabetes, the problem with Metformin is that it can be rough on your stomach. I was no exception. I then tried taking half a pill; one-half in the morning, the other half at night. STILL, I suffered. I had a perpetual tummyache and felt like crap. I went online, researched the drug, read through forums where others complained about it, and learned that my body would (hopefully) adjust to it. I also spoke to a pharmacist, who advised me to take my two medications (Synthroid and Metformin) at different times during the day. So I did. Finally, after about three weeks, I adjusted to it. Phew! Changing My Eating Habits is HARD! Back in mid-June, I decided to change my eating habits because I wanted to lose weight. I started using an app called MyFitnessPal (downloaded onto my new smartphone) with the help of my son, who is very supportive. Tracking my intake of food has helped make me more aware of what I’m putting into my body. When I found out I have Diabetes, I began seeing a dietician at the Diabetes Clinic. She has helped me incorporate exercise (mainly walking) into my weekly routine. I also now use an app called Map My Walk, which syncs with MyFitnessPal. It tracks how far I walk, how many calories I burn, and the rate at which I walk at. It’s pretty cool, I have to say. I have lost about 13 pounds so far, and am on my way to losing more! I basically stopped eating chocolate, too, as well as other foods I love, including pizza. Now I make my own healthy pizza using flax flatbread as the dough/crust, and top it with vegetables and fruit. I also started making fruit smoothies with spinach. Because it’s a messy process, I bought some small containers and decided to make a bunch at a time and then freeze them, taking one out every few days to thaw then consume. Here is a picture of the last ones I made. They are different colors because I made four different kinds. I also purchased a container of strawberry protein powder from the Nutrition House, and a shaker from Walmart. On the days when I don’t eat foods with a high protein content, I simply grab a shake. For my birthday this past August, my son bought me a good pair of Asics running shoes. I’ve been walking almost every day, and a couple of times a week I work out to the show called Bollyfit! I want to learn how to dance Bollywood-style and need to get in shape before I can do that. Bollyfit combines dance moves with other aerobic moves and also includes a muscle-conditioning portion. So I work up a sweat and am happy when the 30 minutes are over! To add to the stress of changing my eating and exercising habits and adjusting to the medication I’m on, my niece had her eye removed this summer. Although this site is now technically my business site, it still contains posts from when it was called Lorraine Reguly’s Life. As such, personal posts can be found within it, including posts about my experiences and my family. I’ve blogged about Baby Sam, aka Sammi, aka Samantha, before. She’s my niece, and was born with a rare form of cancer. She was the youngest participant to walk in the Relay for Life 2013 fundraiser for cancer, and participated in each relay since then. Back in May, I mentioned she was going to have to have her eye removed. On July 8th, my three-year-old niece, Sammi, who was born with eye cancer, had her right eye removed at SickKids Hospital in Toronto. Her six-year-old brother, Alistair (Ali), remained in Thunder Bay, where he was cared for by his paternal grandpa, my mom, and myself while his father was working. The whole situation with Sammi is pretty stressful, and is an ongoing situation. The person who bears the brunt of caring for her, however, is my sister, Janice, whom I admire for her strength and dedication! Sammi at SickKids before she lost her hair from the chemo. Sammi has been adjusting quite well, under the circumstances. Prior to having her eye removed, the doctors discovered a growth (a tumor) behind her right eye. They didn’t know if it was attached to the optic nerve, or where it was, exactly, though. Sammi immediately began the first of six rounds of chemotherapy. When they removed her eye, most of the tumor was also removed, as it was attached directly to her eye! The doctors have not encountered this type of situation before, either, they said. To make sure Sammi would be healthy, they continued the rounds of chemo treatment. They also harvested Sam’s stem cells from her blood, which involved her having an operation in which tubes were inserted into her leg/groin area (her femoral artery). It took a total of three full days for them to get enough. Later this month, Sam will be going to be having a stem cell transplant, which basically means that the doctors are going to kill her immune system and then reboot it. It involves her bone marrow, and a bunch of other complicated procedures, is tough for me to understand, and even harder for me to explain. But it essentially means that Sammi is going to have many more rough days ahead of her before she is well again. Here are a few pics of Sam and Ali playing with Elly’s eye. Sam currently has a temporary fake eye (prosthetic) but is going to get a permanent one soon, as the one she has now does not quite fit her socket. She hates it when it falls out and is still adjusting to getting used to having one eye. However, she’s still a happy girl (when she’s at home, not at the hospital!) and her spirits have not been crushed. She’s a real fighter! She’s also going to have to get a pair of glasses, as she is nearsighted. Anyway, enough about Sammi… for now. Let’s get back to the plans I have for this blog, and for the next few months. No, not Letters to Julian (which is still in the works), but a book about suicide and depression. The blog post I wrote about my suicide attempt hit the #1 spot on Google… and has remained there for a long time, even throughout the last two Google updates. I STILL get comments on that post, too. I’ve been asked to help many people because of it. Ergo, an opportunity has fallen into my lap. I can do this by writing and selling a book. In it, I will talk further about my life and experiences, make suggestions about how to cope with different situations, and I’ll also provide resources for others to use, too. I’m quite excited about this venture, actually, and so I’m going to be cutting back on the blogging a bit. I will no longer be publishing a blog post each week. I will publish at least one per month, though (maybe more, as I have a couple of guests lined up for you), and will continue to provide you with information you can use. Finally, I’m pretty sure I’m going to be doing some work in my community, tutoring women entrepreneurs on how to start and run a website. I’m still waiting on confirmation from the women at PARO about this, but I think it’ll be a go. So, as you can see, I’m going to be BUSY for the next few months!!! I am also going to discontinue the FITS series for now (maybe permanently… I’m not sure yet). Instead, I plan on publishing new and innovative information for you! Yeah, I’m a freelance writer. And editor. And coach. And… the list goes on and on. I’m a freelancer who is picky about the clients I take on. For me, freelancing is NOT about the money. It’s about helping others! I pride myself on helping others, especially when they are “in a pinch” and need a quick turnaround time. 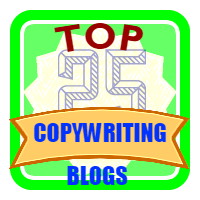 Many clients come to me for such writing and blogging services! Freelancing is fun when you are selective like I am! The freedom I allow myself is AWESOME and enjoyable and allows me to choose who I work with, when I work, and how much I will get paid (although my rates are VERY reasonable). I’m actually working on a post about the pitfalls and perks of ghostwriting. I’m not sure if it will be published on Wording Well or as a guest post on another site. I’ll let you know, though! I don’t have much else to say for now, so I’m going to end here, reminding you that I give away two different e-books, one from each of my sites. Be sure to pick yours up today, if you haven’t yet! And feel free to check out the different services Wording Well offers. Did you pick up your free gift from Laying It Out There? Get it when you subscribe to my author newsletter. Did you pick up your free gift from Wording Well yet? Get 20 Blog Post Must-Haves NOW! Talk to you soon, everyone. Be sure to tell me if there is anything you need help with, too! Firstly – I don’t do ketchup! Right now that’s out the way, howdie there Ms Reguly, I do love expose posts, always like to get to know whom I’m visiting. And it seems first hint I get is to do more exercise .. bah humbug I’m not a great walker, thank god my pooch is a Staffy and they don’t mind sleeping all day or being out for 30 mins a day. Umm I don’t know why but I thought you were from the UK! Big Up Sammi, I’ll defo be thinking of her lots in the near future, big hugs from a strange dude in Northampton, that’s Northampton UK of course. I feel kinda lucky to have met you on this ‘last’ of your regular weekly posts – It’s going to be catching up with you. Tony, thanks for coming over here from Adrienne’s blog. Thanks, too, for the comments you left me! They are very kind! What is your native language, if you don’t mind me asking? Hello Loraine, Welcome back girl! So sorry your summer wasnt as good as you hoped but it sure sounds like you are on the right path now. Thank you so much for sharing your story with us, I do look forward to watching you grow..
Chery, it’s good to be back, although I have to admit it took me a couple of weeks to get back into the swing of things. Yeah, I wish my summer was a bit more enjoyable, too, but at least I was fortunate enough to be able to take three months off! I’m sorry to hear about the health problems, but diabetes is quite manageable, and if you’re making all these other healthy choices because of it, who knows, maybe it will add up to a net gain? Good luck on that next book, and keep on doing your thing! Thanks for the welcome back, Connor! I’m actually doing quite well. I am tracking my food intake, and making much healthier food choices. I’m also exercising regularly now, and have lost some weight! The book is still in the “outline” stage… but thanks! A’int you a strong woman? You’ve been strong and focused through it all, that’s the power that vision gives. It empowers us no to despair even when it’s the easiest thing to do. It is well with you my dear. Thanks, Dan. Strength is the one attribute I have to fall back on in tough times. Very revealing post. First, I’m sorry to hear about your news. My wife was diagnosed with Lupus last year, and was in the hospital for at least a month. Every medication they gave her didn’t work until they eventually found a good combination that did. Now, she’s doing better and it’s an adjustment period for both of us because she has to try to avoid the sun as much as possible — which is difficult. But she’s gotten use to the medication and stuff now. Regarding your niece, they caught the cancer and removed it. Even though it’ll take some getting use to with the fake eye, it’s for the best. Andrew, I’m sorry to hear about your wife. Jo Ann Plante, one of my regular readers (and author!) also has Lupus. From the sounds of it, it’s a terrible thing to have. I’m glad your wife has adjusted; that’s often the hardest part, especially when medication is involved. My niece just left today for Toronto. Gosh, I’m going to miss her. I hope she pulls through this next ordeal with flying colours! Thanks for your heartfelt comment, Andrew. I appreciate knowing I’m not alone and that others care. I missed reading your posts. You’ve been through quite a bit, but you have found your priorities. Good luck with everything. I look forward to your new posts. Hi Jo Ann. It’s good to hear you’re still reading! Andrew and I were, in fact, just talking about you in an above comment, as his wife has Lupus, too. Man you have been through a lot this summer. I am glad you are not going to give up the blog completely though. I have been blogging for awhile and started freelancing a few months back. 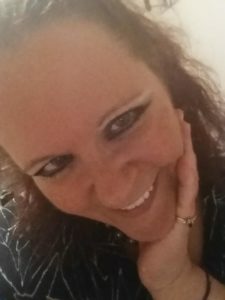 I only have a couple of clients so far and I am learning as I go so your site along with Kristi’s and others have helped me a lot. I just need to figure out the marketing and selling part. Who knew the writing was the easy part of the job? Bob, thanks for letting me know more about you. It’s always nice to connect with someone! If you’re not already, I’d highly suggest following Elna Cain. She’s amazing! Check out her site at Innovative Ink, and be sure to check out her blog, too, as she recently moved it to ElnaCain.com.